Why is a Linux VPS a smart choice? - Reliable Hosting Company | Dedicated Server | Shared Hosting..
VPS servers are extremely versatile because of their price to performance ratios. But the caveat with a VPS is that you are limited in scalability, and at the same time, you’ll have to deal with network bottlenecks rarely. These are mostly non issues for most small to large businesses but nonetheless you can always live with an extra bit of performance. This is precisely the reason why Linux Servers are popular and a majority of the websites use them as OS’es. Performance Oriented: Fundamentally, Linux is a very light weight OS and is often very light on resources. Plus it is endlessly customisable, which makes it an idea OS for a virtual linux server hosting. Easy to troubleshoot: Because of its “Open to modifications” nature, some of the best linux vps hosting providers use this as a default OS. Reason being that it is free and because of the immense community support, it is really easy to find solutions and workarounds for bugs and other system hiccups. Easy to configure: Earlier, Linux systems used to be solely based on command lines and it made for a very complicated setup procedure. Now, however, you have the option to switch to a GUI or stick to the command line, whichever you feel more comfortable. Of course, command lines are still the quicker way around Linux, and it will always include some light know-how of using commands. Affordability: Because Linux os’es run on open source licenses, they are cheaper to install on a VPS. Also, since VPS are already a cheaper version of dedicated servers, the entire combination is incredibly affordable and powerful at the same time. Adaptability: Since VPS’es are isolated in a separate virtual environment, most linux vps server hosting providers you option to tweak and change the system preferences as you see fit, including the default OS itself. There are lot of flavours for Linux, and depending on the nature of the businesses, one might have advantage over the other. If you are still not sure about a Linux VPS, then you should seek a demo with a Linux VPS hosting provider line Atrixhost. 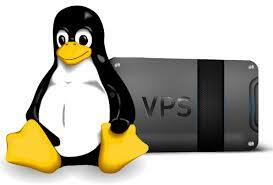 They have very decent options for VPS’es and one of the best customer support services in the entire industry.